The Bulldogs (29-11-2) became the ninth school to successfully defend a title, and first since Denver in 2004 and '05. 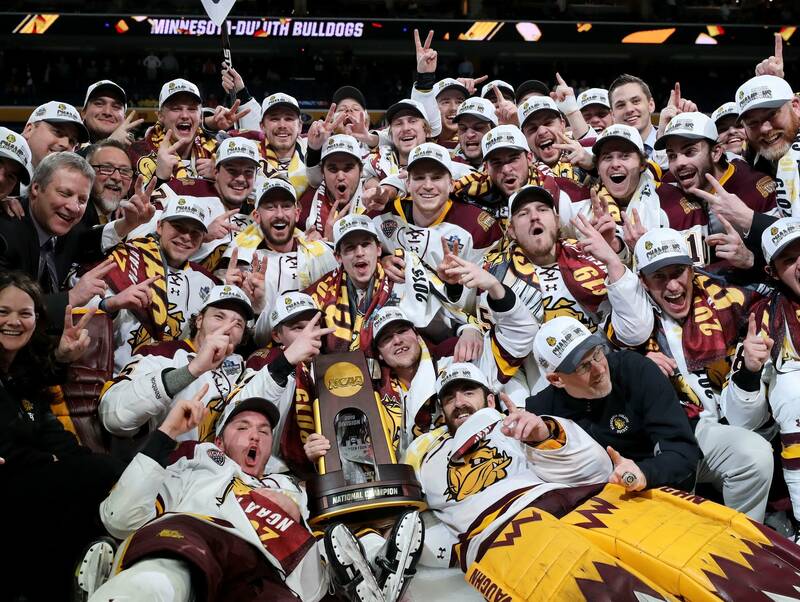 It's the third championship for Minnesota Duluth, which beat Notre Dame in the Frozen Four final a year ago in St. Paul, and also won in 2011. Riley Tufte began the play by controlling a bouncing puck at the right boards and feeding Anderson at the left point. Anderson immediately sent a pass into the slot, where a wide-open Mackay cut across and backhanded in a shot inside the left post. It was UMD's second power-play goal in its past 24 chances. Mackay completed his senior season with a five-game points streak in which he had three goals and four assists. He particularly played a key role in the Bulldogs' tournament-opening 2-1 overtime victory. 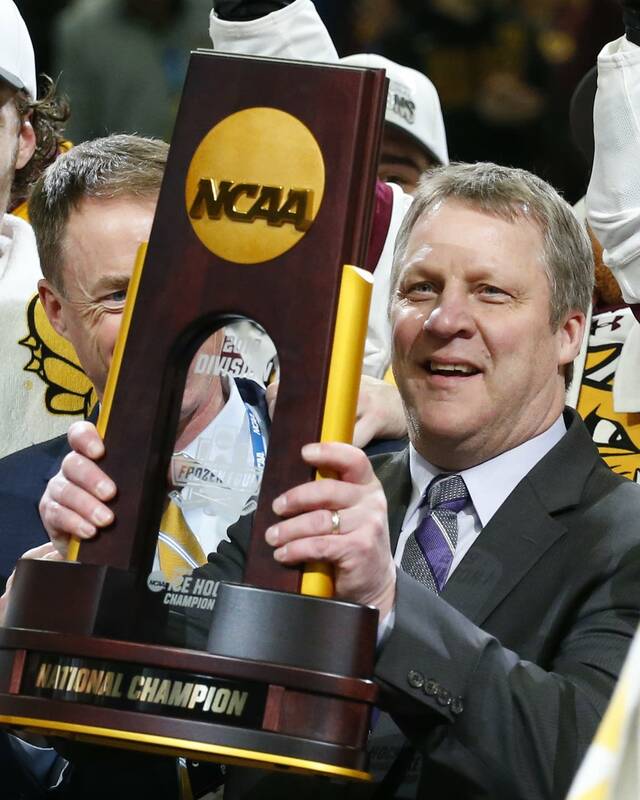 Mackay tied the game with 3:01 remaining and then scored 8:15 into overtime. 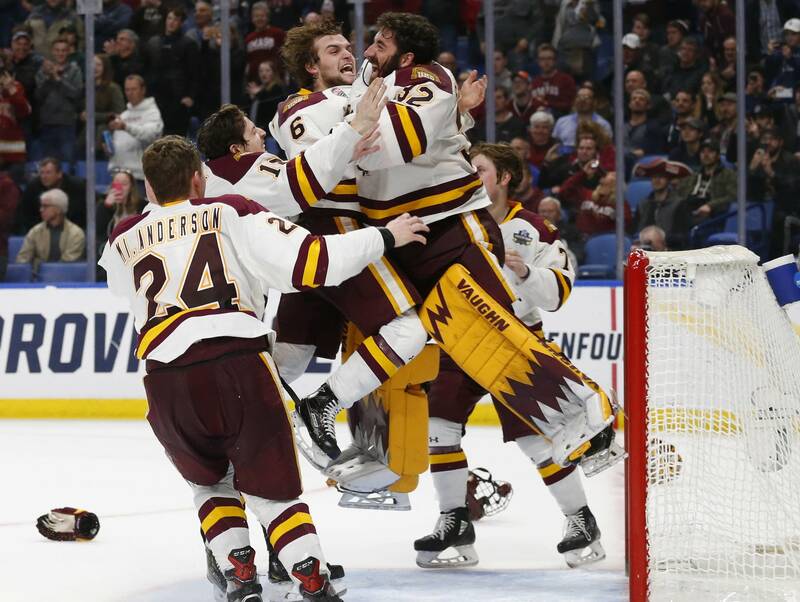 UMass' best scoring chance came with 56 seconds left in the second period, when Anthony Del Gaizo came out from behind the Bulldogs' net and had several chances to stuff the puck in, only to be denied by Shepard.